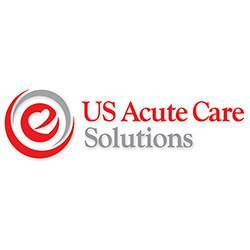 US Acute Care Solutions (USACS) today announced the physicians of SILVER SPRING EMERGENCY PHYSICIANS (SSEP) will join the national leader in emergency medicine, hospitalist and observation services in its Mid-Atlantic region. SSEP emergency medicine clinicians provide care to approximately 110,000 patients annually at two hospital emergency departments in the Washington, D.C. metro area. “USACS Mid-Atlantic is very pleased to welcome SSEPs’ physicians into our coalition. We’ve been practicing in the same region as colleagues, neighbors and friends for many years, and now I’m proud to call them fellow owners of USACS,” said Angelo Falcone MD, president, USACS Mid-Atlantic. The shareholders of SSEP have approved this transaction and will join USACS Mid-Atlantic December 1, 2016. SSEP clinicians treat approximately 110,000 patients annually at two emergency departments in the Washington, D.C. area.